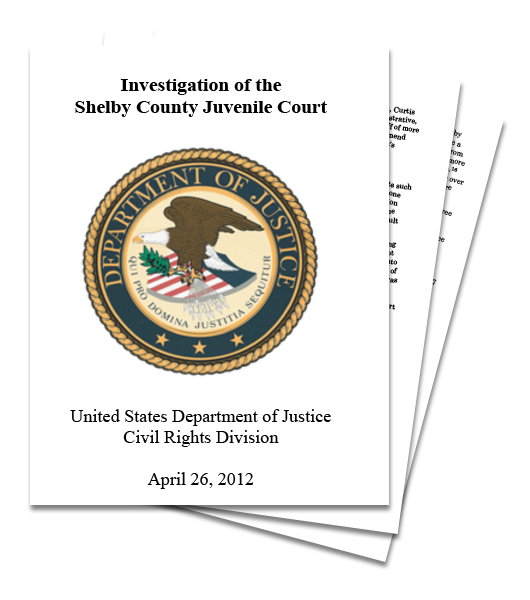 Pleading the Sixth: On December 18, 2012, the U.S. Department of Justice announced an agreement with Shelby County, Tennessee (Memphis) to usher in major reforms of the county’s juvenile court system and the method for representing children in delinquency proceedings. Sweeping changes are afoot, including systemic safeguards, such as “independence,” “reasonable caseloads,” “attorney performance standards,” and “training” for the juvenile defense function, among others. The DOJ/Shelby County agreement is an acknowledgement that the American Bar Association’s Ten Principles are not just the parameters of a functioning adult indigent defense system, but a juvenile justice system as well. 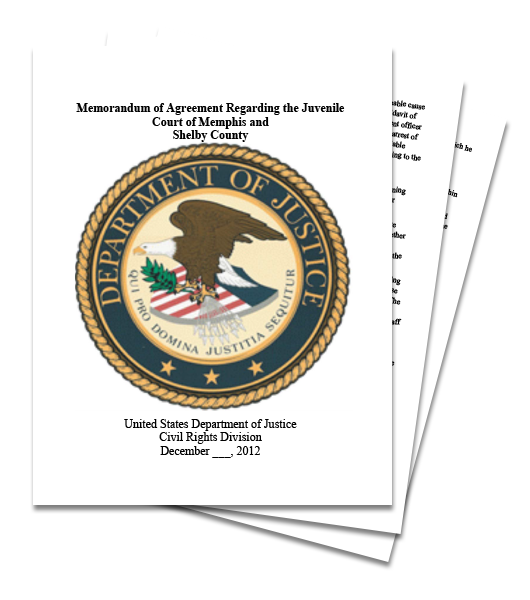 On December 18, 2012 the United States Department of Justice (DOJ) announced a sweeping agreement with Shelby County, Tennessee (Memphis), as reported in the New York Times the same day. 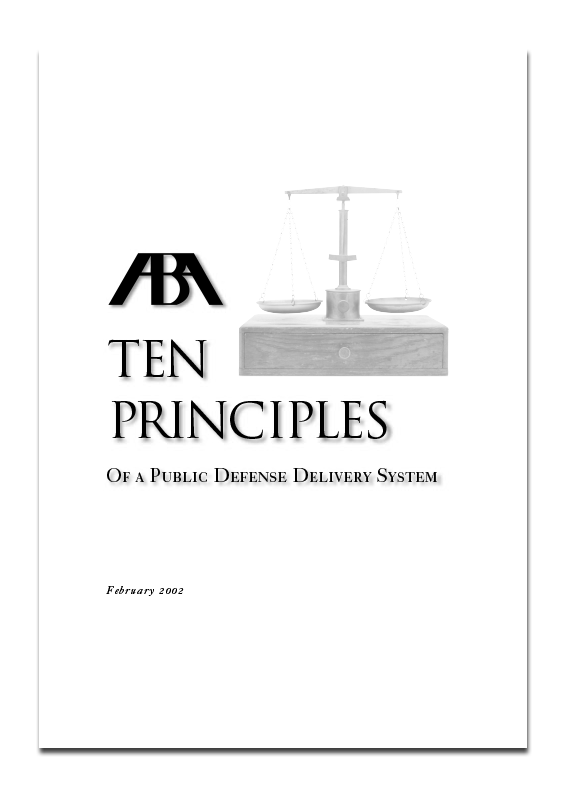 Far-reaching changes will take place in Memphis, as the DOJ is requiring that much of the American Bar Association’s Ten Principles of a Public Defense Delivery System be implemented to transform their current deficient non-system into a national model for juvenile justice. (For more on the problematic adult and juvenile representation systems that currently exist in Shelby County, click here and here.) The settlement marks a new day for indigent defense across the country, as Assistant Attorney General for the Civil Rights Department, Thomas Perez, stated in the Times piece that the DOJ wants to put to an end “assembly-line” justice that offers “little quality assurance,” and that the settlement should “serve as a template for other jurisdictions.” State and counties with “non-systems” that fail to comply with the ABA Ten Principles are officially forewarned. The agreement requires that Shelby County “shall take action to ensure independent, ethical, and zealous advocacy by the juvenile defenders representing Children in delinquency hearings,” within one year’s time. The primary requirement to accomplish that admirable goal is the transfer of the supervision and oversight of juvenile delinquency representation from the control of the judiciary to a specialized juvenile defense unit within the Shelby County Office of the Public Defender (OPD). Commentary to ABA Principle 4’s requirement that public defense attorneys be “provided sufficient time and a confidential space” to meet with clients, notes that for attorneys to have “confidential access to the client for the full exchange of legal, procedural, and factual information between counsel and client,” jurisdictions must provide “private meeting space” in “jails, prisons, courthouses, and other places where defendants must confer with counsel.” Accordingly, the agreement requires the attorneys providing juvenile delinquency representation must “have a confidential meeting space to confer with their clients,” wherever necessary. As the Simmons Court noted: “[i]t is difficult even for expert psychologists to differentiate between the juvenile offender whose crime reflects unfortunate yet transient immaturity, and the rare juvenile offender whose crime reflects irreparable corruption.” If trained psychiatrists “with the advantage of clinical testing and observation” refrain from such assessments, then for the courts to make a similar assessment – that the child in question is so irreparably corrupt that the treatment provided through the juvenile justice system is of no option – the process must be of such a degree that the fairness and correctness of the court’s decision is unquestioned. For this reason, defense counsel performs a critical role in ensuring the child’s due process rights are protected. 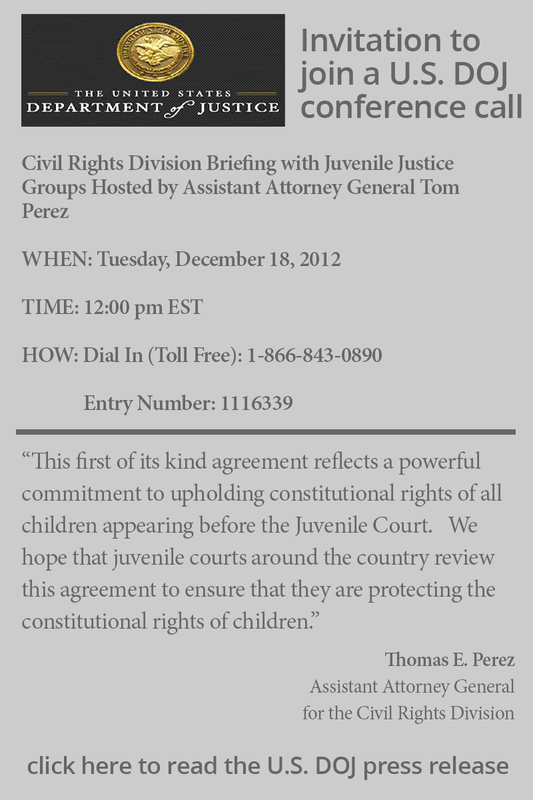 The defense lawyer is ethically obligated to zealously represent the child’s interests by presenting evidence and arguing in favor of that evidence at the transfer hearing; challenging the state’s arguments and evidence presented in support of that evidence; and to directly challenge the fairness of any procedure or statute that affects the due process concerns that affect children served through the juvenile court. Such independent and vigorous representation of the child improves the court’s ability to properly adjudicate matters involving allegations of serious allegations of violent crime. Training of court personnel: Within six months of the agreement, Shelby County must develop “a training plan for all employees involved with its delinquency docket,” focused on: a) Trial advocacy; b) Constitutional due process requirements; c) Adolescent development; d) Disposition planning; e) Best practices in social service and therapeutic options for Children and families, including; and, f) The functional and practical purposes of the juvenile court, including the Court’s ability to handle cases involving Children charged with serious or violent delinquent acts. The training plan must then be implemented within 12 months. Protection from harm and suicide prevention at detention facilities: Shelby County immediately agreed to “prohibit all use of a restraint chair and pressure point control tactics,” and to develop policy manuals and training programs to “[e]nsure that staff use the least amount of force appropriate to the harm posed by the Child to stabilize the situation and protect the safety of the involved Child or others.” Policies must also be developed to screen children for suicide risk and other mental health concerns at intake. Can Shelby County effectively implement the agreement without state help? Though some advocates most assuredly would want the changes in Shelby County specifically related to defense representation to be implemented in less time than a year, the agreement is realistic in expectations of how long it will take to transition a non-system to one that meets national standards. As it stands today, the Office of the Shelby County Office of the Public Defender (OPD) itself fails to meet many of the ABA Ten Principles, due primarily to flawed implementation of a statutorily required state funding formula for the Shelby County Office of the Public Defender (OPD). Tenn. Code Ann. § 8-14-210 requires state indigent defense funding to the Shelby County OPD to stay on par with the state funding of the right to counsel in the rest of the state. That is, the state is required to pay Shelby County “an amount equal to the percentage of any general increases in appropriations” for the state-funded district public defender system. That has not happened. Since 1992, state funding for the district public defenders has increased by more than 200% while state funding for public defense services in Shelby County has increased just 44% over that same period. As a result, the state of Tennessee’s financial contribution to the Shelby County OPD has decreased from a high of 71% of the office’s total expenditure (in 1993) to only 34% (2012). During this period the OPD caseload has more than doubled. That is not imply that Shelby County’s contribution is adequate, rather that the state’s commitment has been even more inadequate. Had Shelby County been receiving annual increases in “an amount equal to the percentage of any general increases in appropriations for district public defenders,” simple math indicates that the OPD would have received an additional $4 million in state funding in 2012. Getting that gap filled appears to be a critical first step. At the very least, the state will need to adjust its baseline funding for Shelby County under Tenn. Code Ann. § 8-14-210 to account for any new juvenile court services OPD provides. Since OPD was not handling any juvenile representation when that baseline was set in 1992-93, using the original, non-adjusted baseline to calculate future increases would further strain limited resources available for both adult and juvenile representation in Memphis. Shelby County is seeking a baseline appropriation of $7M in FY14.